The return to #TriviaTuesday at The Rec Room brought out an exciting selection of competition to The Hall in The Roundhouse in Toronto! Would anyone roll 20? Might we see a clean sweep for prizes?! How about a First and Gold kind of night? After Trivia Classic , the Top Five (top five, top five) saw Scramble My Eggs in fifth, with Pizza Pockets < Pizza Pops in fourth, and Nerd Ferguson in a strong third place! Just two points outside of the Top Five were Patgies, as well as The CPAs (Certified Professional Amateurs), and Team Ramrod! This meant that winning some sweet sweet candy were The Girlie Show in second after the first, and in the lead... 7 Trends! 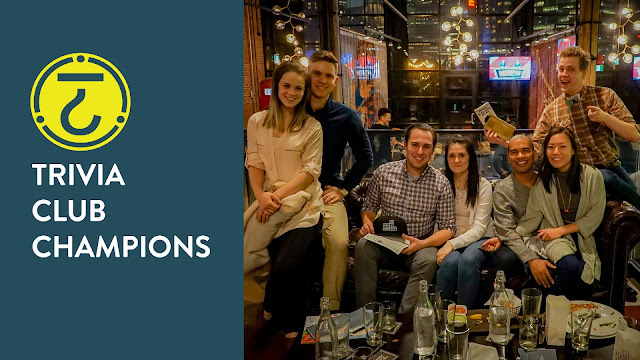 In Tri-Pardo , our second round at The Rec Room, things got much more unpredictable, as 7 Trends saw their lead and held pat on all three questions! The Girlie Show has rolled for one point on the first question, while The CPAs rolled for fifteen points on the second question, and 7 Trends rolled for six points on the third question! Collectively this meant a lower then average twenty-two points were up for grabs with the brunt of those points on a tough second question! 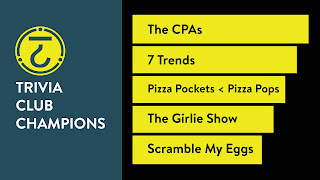 Scramble My Eggs and The CPAs got both the first and second questions correct for sixteen points, which gave them a one point and four and a half point lead on 7 Trends respectively! Just one point behind after gaining ten points, were Pizza Pockets < Pizza Pops! Gaining eight points on the second round of questions and holding at sixth place were Team Ramrod! Finally in the Trivia Finale , Scramble My Eggs had the lead, and wagered juuuust enough to keep... they just had to get the last question correct... BUT as it turns out they were one of two teams, along with Ramrod, who would get the question incorrect! So close but so far away, Scramble My Eggs fell to fifth! In fourth place were the first round runners-up The Girlie Show! 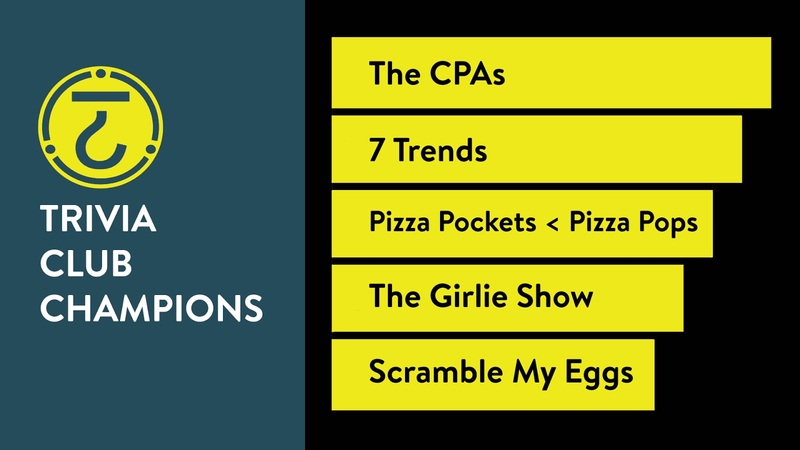 In third, just four points off the winning score, were Pizza Pockets < Pizza Pops, and runners-up on the night... after finishing Tri-Pardo pointless, two points away from the win... 7 Trends! This meant that winning the GOLDEN VHS CHAMPIONSHIP on the night, with seventy-six points, were THE CERTIFIED PROFESSIONAL AMATEURS! Sweeping in from out of nowhere on a solid second round, and a last second all-in wager for the Finale! Congrats once again to The CPAs, and thank you to everyone who came to The Rec Room this past Tuesday! We'll see you all again in The Hall for our second night of the Grand Championship Grand Prix for the GOLDEN VCR in celebration of Trivia Club's SIXTH ANNIVERSARY!